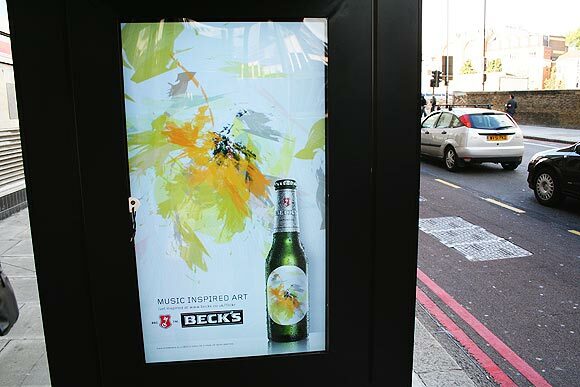 Developed as part of the Becks Music Inspired Art campaign. 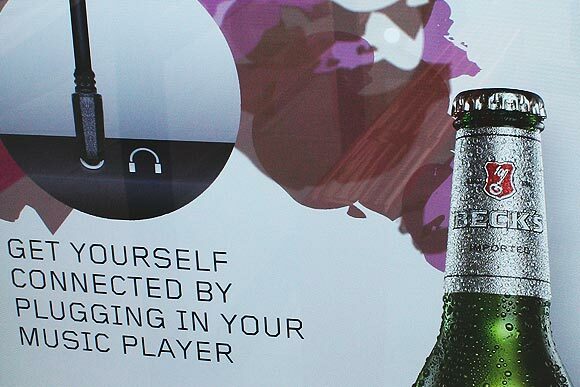 The installations are being set up across 12 sites in London allowing users to plug in any music player, then playing music into the installations, artwork is generated from the music. The end results are collected and uploaded into an online gallery. 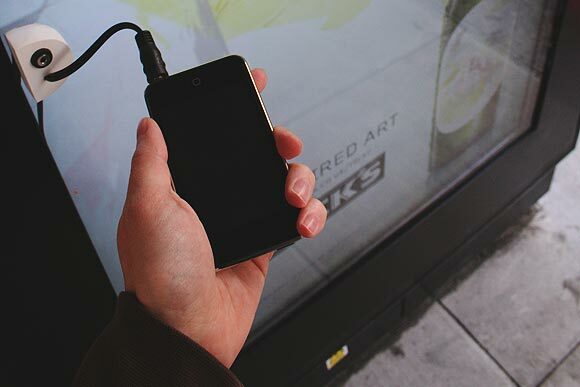 As music is played into the installations, the app listens to volume and pitch while drawing in real time abstract artwork. 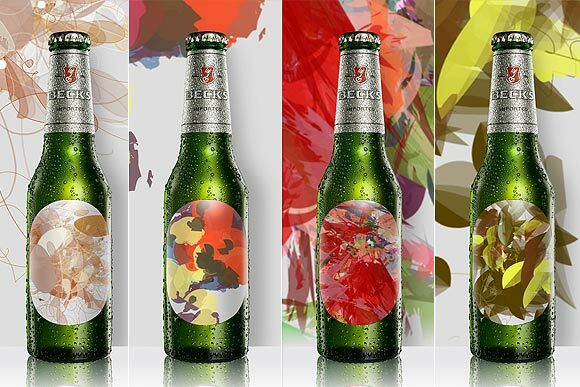 For each minute of the day a different complementary colour palette is used and over 250 random brush shapes were generated. The finished designs are then uploaded into flicker. Built using Flash and Zinc, each kiosk has its own FTP engine that pushes the finished designs to the web, tagging and cataloging them. Created at Outside line studio. By Electrolyte Posted in flash, labs, work You can follow any responses to this entry through the RSS 2.0 feed 2 Comments	Responses are currently closed, but you can trackback from your own site.